LasVegas2005plusafewHOME -- Looking North from Eiffel Tower Las Vegas Paris. 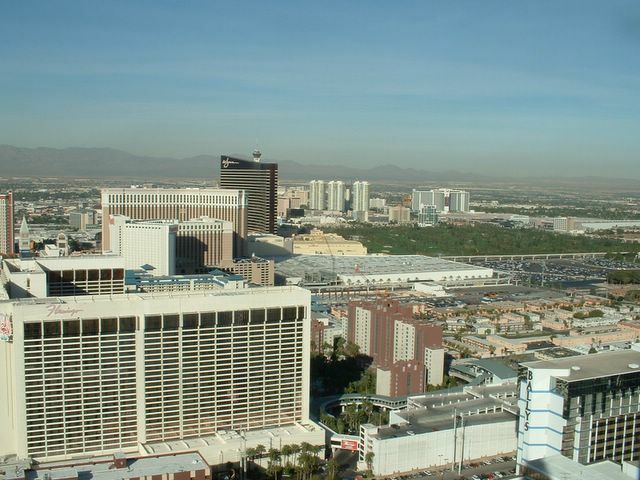 IN foreground is the Flamingo, the strip's first luxury hotel. In distance Las Vegas Wynn's and the Stratosphere tower.